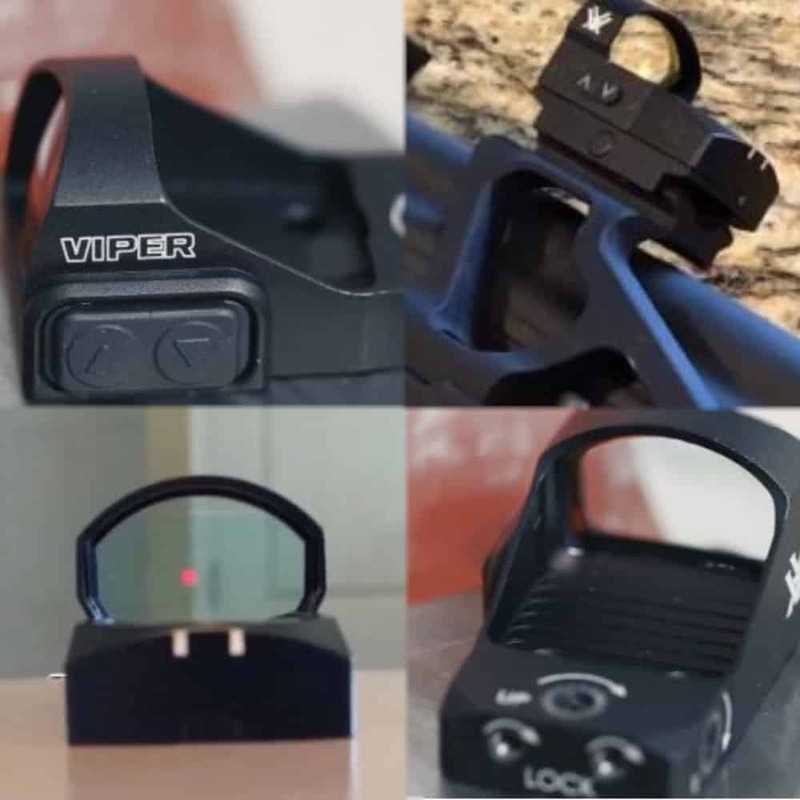 Vortex Viper VS Venom Review - Best Comparison in 2019 April! The house of Vortex is a major force in the gun optics market and produces a number of magnificent models that include riflescopes, red dots, rangefinders, binoculars, spotting scopes, tripods and monocular as well as an assortment of gear and accessories. Among the vast range of excellent performance, models are the Vortex Venom and the Vortex Viper. 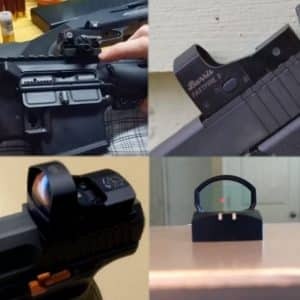 Both these models are mini Red Dot sights for handguns and rifle applications. In this review, I present both sight details, features, and specifications and then compare both models using them on the same weapon and testing handling and performance. 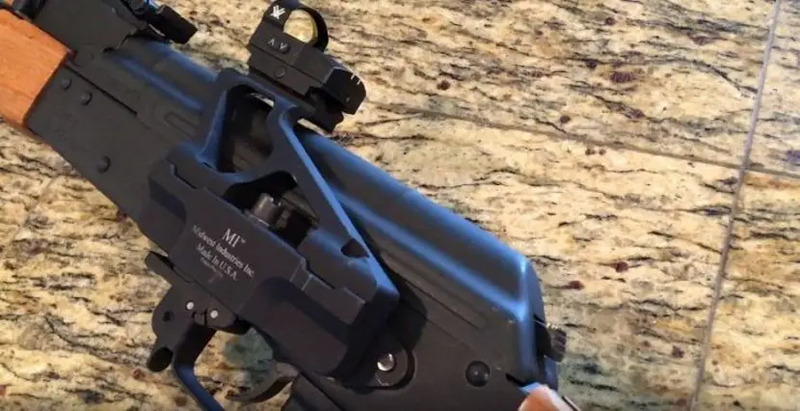 A word about abbreviations for the Perplexed: an MOA is Minute of Angle; it is a mathematical concept that most firearm scopes use. The MOA number is the level or size of accuracy that the dot provides over a distance. The accuracy is adjusted by “clicks,” where a click is usually 1/4 or 1/2 MOA. An MOA is 1/60th of a degree. NRA Tips: Don’t think in clicks, think in MOA, For example; if you are shooting at 300 yards. As an MOA spreads out 1″ per 100 yards, calculate 1 MOA at 300 yards is 3”, as such, ½ an MOA is ½” at 100 Yards, so if you have a 3 MOA dot it means that every 100 yards, the dot will cover 3”. Now that MOA has been explained let’s take a look at the two Vortex models and compare them. The VENOM® RED DOT comes in two options, the 3 MOA Dot and the 6 MOA Dot models, in this comparison I chose the 3 MOA to compare with. The finer 3 MOA dot model provides extra accuracy and is a perfect rifle scope, which is good for range shooting and fast target acquisition. 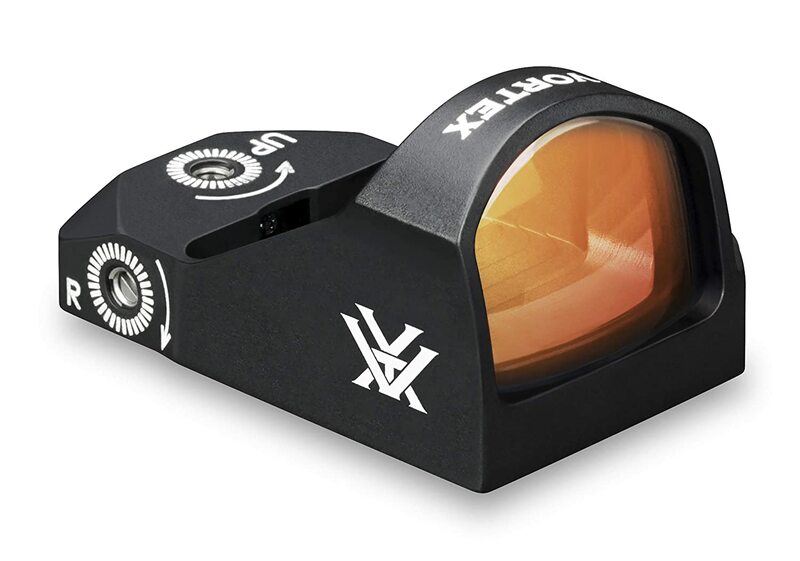 The Venom housing is made from machined aluminum and is a durable model that comes with high quality, a multi-coated lens that delivers clean vision with a wide field of view. One advantage of this model is that it comes as a top load system, so you can change the battery cell CR 1632 easy since you don’t need to rove the sight when changing the power pack. On the Venom, the power and dot intensity controls are positioned on the left side of the unit. You get 1 MOA windage and elevation adjustments, which makes it extremely versatile over many distances and it comes with a 1.6-ounce weaver/Picatinny mount. The overall length of the Venom is 1.9,” and it weighs 1.1 ounces. 10 Brightness Settings in manual mode or auto mode. 14-hour auto-shutdown battery system maximizes life. Up to 150 hours of use at the highest setting, and 30,000 hours at the lowest setting. 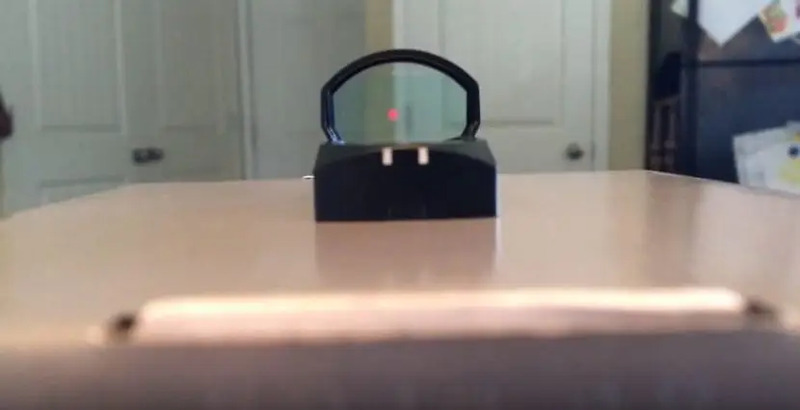 This VIPER® RED DOT is a 6 MOA Dot sight with very similar properties to the Venom. However, that’s as far as it goes. The Viper comes with an ultra-sleek design and comes with multi-coated, ultra-clear lens coatings, and the illumination controls are conveniently located on the left side together with the up/down power switch. 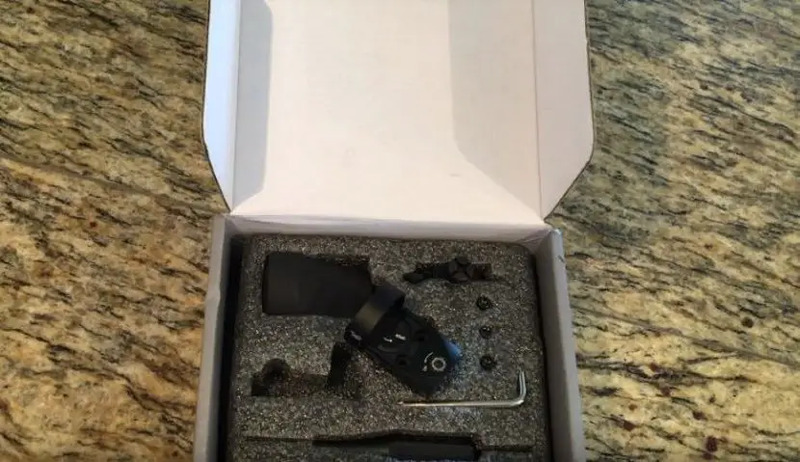 This model has recessed 1 MOA windage and elevation adjustments, and it runs on a CR 2032 battery, as the Venom, the Viper comes with Weaver/Picatinny mounts, but the size of this model is 1.8” while its weight is 1.1 ounces. When this model is used with the Picatinny mount, it weighs 2.1 ounces. Both models come from the house of Vortex, which means that they are produced in the same fabrication plant using the same materials. As such, the differences are in profile and overall performance. Let’s take a look at the two and decide. 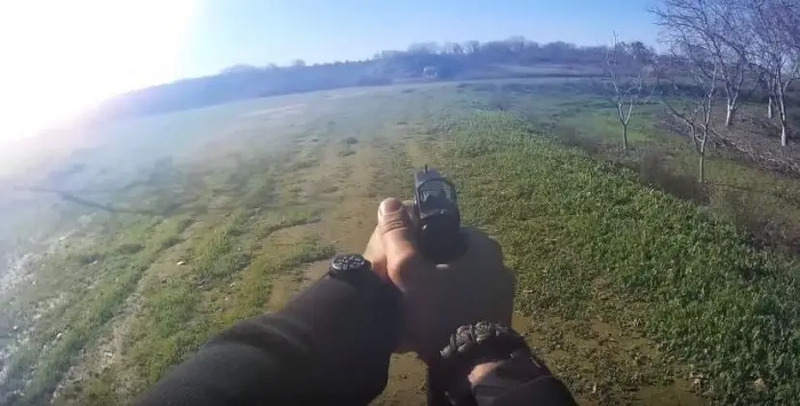 When comparing between the two, taking both models and placing them on the same weapon and firing off shots is the only way to compare performance in real time. I used both handguns and rifles and reached the following conclusions. Both of the sights are similar in size, quality, and levels of performance. They are both rugged, durable, shockproof and waterproof. The Viper is slightly smaller and sleeker in size than the Venom. However, the difference in size makes the Viper a harder model to change batteries. Both models come with the same accessories, and they have a Picatinny mount, and both have Vortex warranties on the optics. The Venom comes with two MOA options, 3 and 6, and is a compact, no-magnification sight with a mini red dot that is parallax free. Apart from the MOA difference, the two Venom models are identical. The Body is made from a machined aluminum that has been mat coated with a dark anodized finish that protects it from oxidizing. The main advantage is the top loading battery option that is perfect for long continuous use in the field. The brightness controls together with the MOA adjustments are recessed into the body to prevent them from being changed through accidental touching. The Viper comes with a much lower profile and has only a 6 MOA dot option. The 6 MOA dot option makes it easier to acquire targets, and the sleeker design makes the weapon slightly more versatile in tight situations. Due to the Viper’s sleek size, it can co-witness with suppressor height pistol sights. 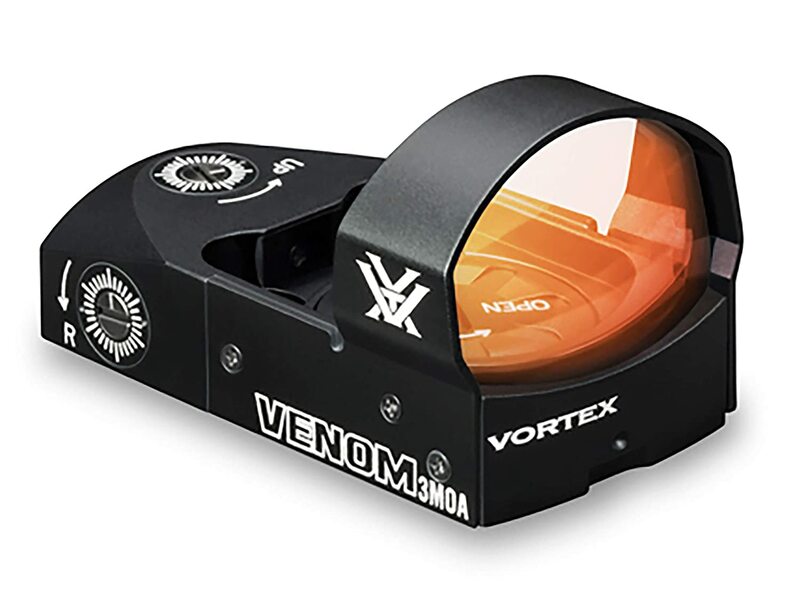 The multi-coated lens and anodize finish are identical to the Venom, as well as the location of the controls. This model uses a CR 2032 battery rather than the CR 1632 in the Venom, making it easier to find on the market. Both models come with a similar price, and both provide similar results. The main difference between the two models is in the overall application. 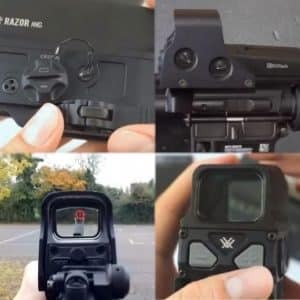 The Venom is a do-all mini dot optic sight that is designed to work on both handguns and rifles. As such, it has a wider range of versatility and the larger dot can be used as a backup to a magnified scope. The Vortex Viper is designed for use on handguns only; it’s a smaller model, engineered to slip on most handguns and gives you only one dot option, the larger 6 MOA that is perfect for fast target acquisition in close combat situations. Both sights are perfect for handgun applications, and the sleeker Viper will give you that added benefit of size saving functionality. However, if you have a rifle and like the sight on both a handgun and rifle, since familiarity helps speed up sighting decisions, then the Venom would be the better option, There is no point in having a Venom on one and a Viper on the other. If, however, you only have handguns, and more than one, then the Viper would be better for its sleeker design. Just take into consideration actual application in terms of time constraints. If you are in the field on tactical missions and spend more than a day in active duty, then the Venom gives you one added advantage that the smaller Viper loses out on; battery changes. The Venom gives you a fast battery change which in some instances can be critical. Both are perfect choices and are application dedicated for best performance. Either will perform the job as good as the other.